Open Badges in HE – What, Why and How? Why not get involved in #HEAchat ? It’s a regular, open forum for HEA Fellows and non-Fellows to come together and share their experiences of teaching and learning in HE/FE. Each month the chat covers disciplinary or other issues relating to teaching and learning. The next chat scheduled is Mind the Gap…How can we help commuter students get the most out of thir studies on 28 March. 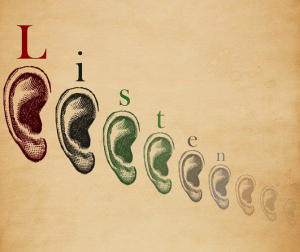 The event will explore pedagogies of listening and one-to-one communication that enable and facilitate learning from others through dialogue. If you have an interest in enhancing the student experience through developing communication skills, interdisciplinary collaboration, dialogic approaches or education for sustainable development, this workshop will be of interest. It gives an opportunity to explore the ways we teach communication skills in further/higher education to support collaboration, interdisciplinarity and inter-cultural exchange; try out a range of activities and resources aimed at developing environments for open and respectful conversations; and take part in discussions aimed at sharing and developing high quality learning and teaching practice for better communication skills. The event draws on the resources and experiences of the HEFCE Catalyst funded teaching innovation project ‘Unmaking Single Perspectives: a Listening Project’ currently running at Keele University. “Forging closer links between university research and teaching has become an important way to enhance the quality of higher education across the world. As student engagement takes centre stage in academic life, how can academics and university leaders engage with their students to connect research and teaching more effectively? 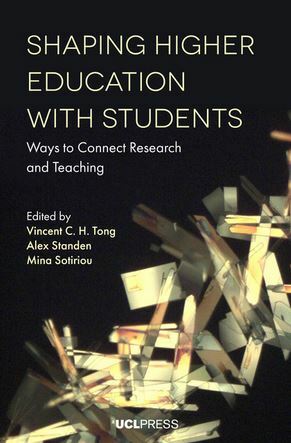 In this highly accessible book, the contributors show how students and academics can work in partnership to shape research-based education. In this talk, Mark will ask: What do we mean by an evidence base in education? Who gets to decide the canon of knowledge that sits behind the choice of evidence and why? For example, why do aspects of Cognitive Psychology seem to reflect the zeitgeist of evidence base in schools, but perhaps not sociology, philosophy or anthropology? Why Cognitive Psychology and not Social Psychology or humanistic lenses on learning and teaching? Mark will highlight some of the processes and scaffolds they have put in place at his secondary school and then also widen the dialogue to assert that reductionism to a sole lens of Cognitive Psychology may be helpful, but does not fully embrace all factors that influence effective approaches to learning and teaching. Staff – got a great business idea?